Air Cooled Portable Type (SWP(U)-415) - Tong Cheng Iron Works Co., Ltd. Effective Cooling fans design to highly reduce the compression temperature. Durable cast iron crankshaft and pump - excellent wear-resistance. User-friendly - easy operation and maintenance. Various options for different application. 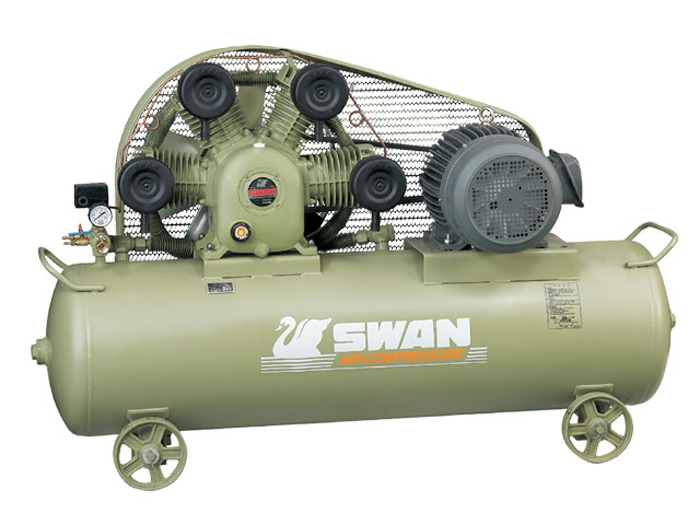 The automatic pressure switch will stop and start the compressor according to air demand. 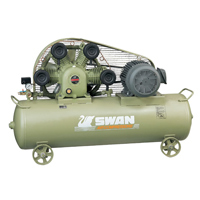 It is normally recommended for intermittent operation and smaller compressor units. The automatic unloading system allows for the control of loaded and unloaded compressor states through a range of pre-set pressure values. This system is recommended where the duty cycle exceeds 50%, and for all larger compressors units.